Morbidity profile of children referred to Genetic Unit of Mansoura University Children's Hospital, Egypt. Beyond antibiotics, is there any hope for new alternatives? Cytogenetic profile of children with suspected genetic disorders referred to the Genetic Unit of Mansoura University Children's Hospital, Egypt. 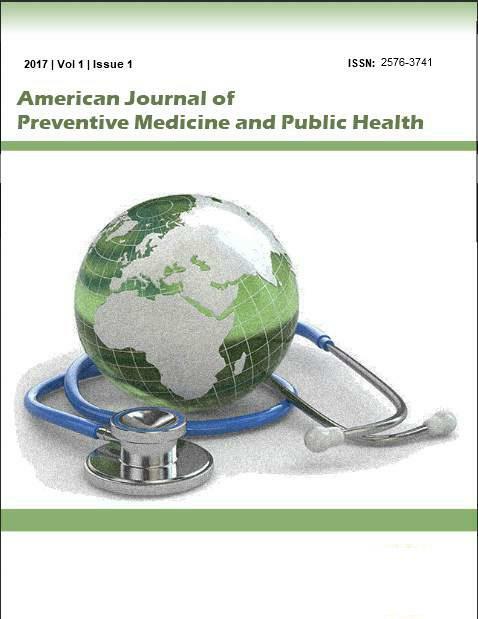 The articles in American Journal of Preventive Medicine and Public Health are open access articles licensed under the terms of the Creative Commons Attribution Non-Commercial License (http://creativecommons.org/licenses/by-nc-sa/3.0/) which permits unrestricted, non-commercial use, distribution and reproduction in any medium, provided the work is properly cited. Copyright © 2019 American Journal of Preventive Medicine and Public Health All Rights Reserved. Subject to change without notice from or liability to American Journal of Preventive Medicine and Public Health.